Wind, and cooler temperatures this morning. Captain Andrew had a trip planned and decided to work around the weather. A rainy start after gathering bait. With a live well full, you just can’t waste it. They set off and decided to hide in one of our amazing canal systems in Port Charlotte. When the weather picks up the fish tend to hide in there too. On the boat today was Wayne & Shierly Nichols. Wayne runs Red Eye Safari , and is a great local hunting guide. You may remember him from Andrew’s first turkey kill a few weeks back. They are newlyweds and we’re looking for a fun day on the water, some fish to tug back on the lines would be great too! Today they are using free lined live bait on a circle hook and various soft plastics. All kinds of live bait works in this type of fishing. Pin fish, shrimp, green backs, threadfins, and sugar trout. These canals are vast, and full of all kinds of marine life. Throw your bait under docks and around pilings/bridges for best result. These guys toughed out the less than perfect start to the day and were rewarded with a few nice catches! 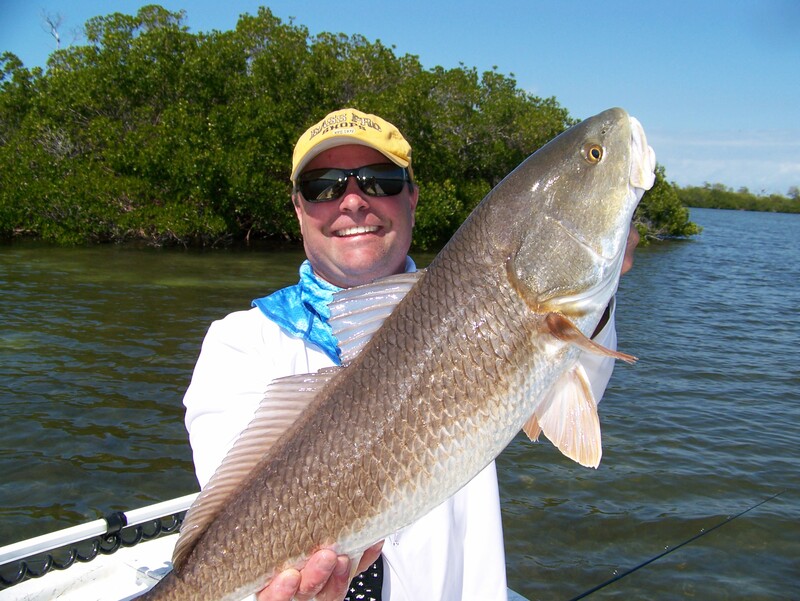 Contact Captain Andrew to book your back water guide today. Monday night one of our customers was 30 miles out in the gulf, and the wind kicked up, 6 foot plus seas. Some how the wiring shorted out as some thing came loose under the dash. and the wires melted, killed the power so the engines would not run. He called the coast guard they came out. he and his passengers are fine and back at shore. But no ones knows where the boat is. The boat could have sunk or is floating up-side down or even it may be right side up and just needs to be towed. He asked me to alert everyone that the coast guard says the boat is because of the wind close to shore somewhere between Port Charlotte and As far north as Tampa. He does not wish to have some one run into it and get hurt. 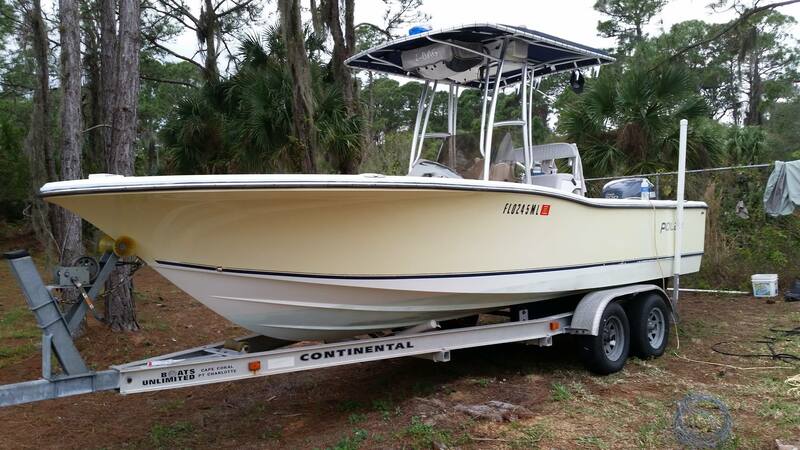 If you see a 2004 Polar 24 foot. Yellow and white boat floating in the gulf call me here at the store 941-625-3888 and I will get the news to him. 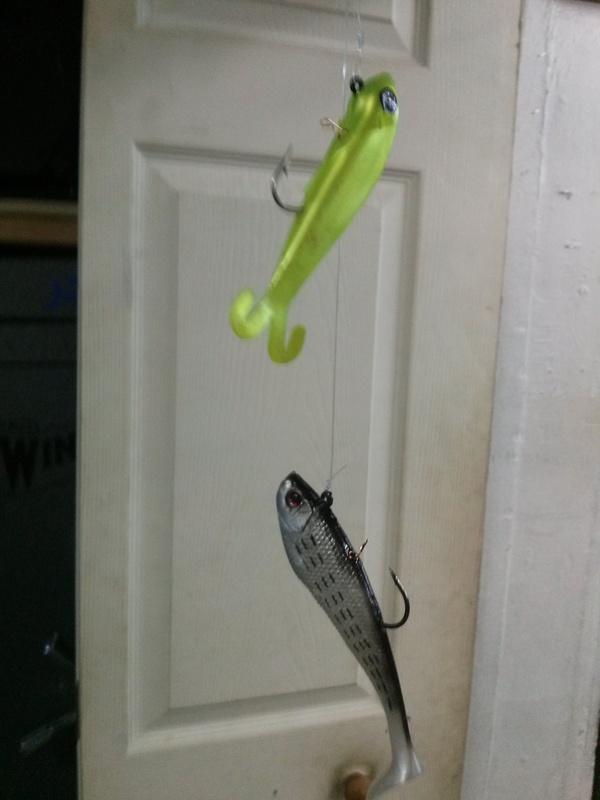 f you listen to radio Fishin you know this is the new way I started rigging swim baits, This will work well under a float Fishing for Tarpon, or even if you want to use a legal Jig in the Passes. 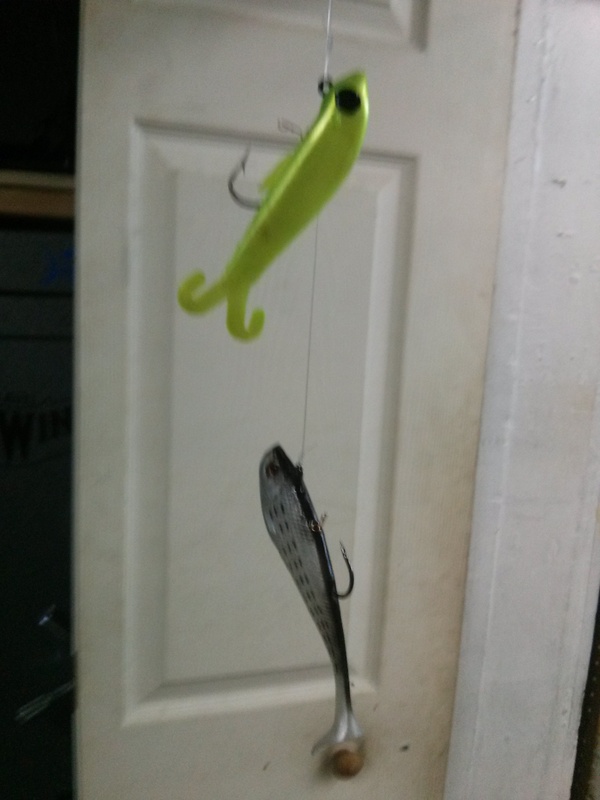 Some morning live Thread fins for bait You find Tarpon So tie on a swim bait and put a bobber about 6 feet up from it. 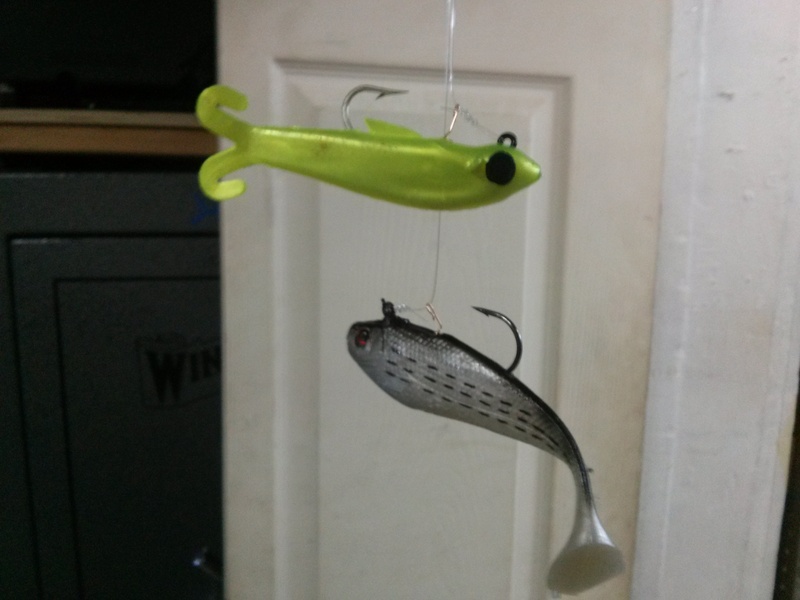 which when you put a swim bait under a bobber it hangs wrong, “Tail down as you see here in a couple of the pictures, by screwing in a hitch hiker an inch back from the hook and putting your leader under it the swim bait hangs level, and presents a much more attractive bait. 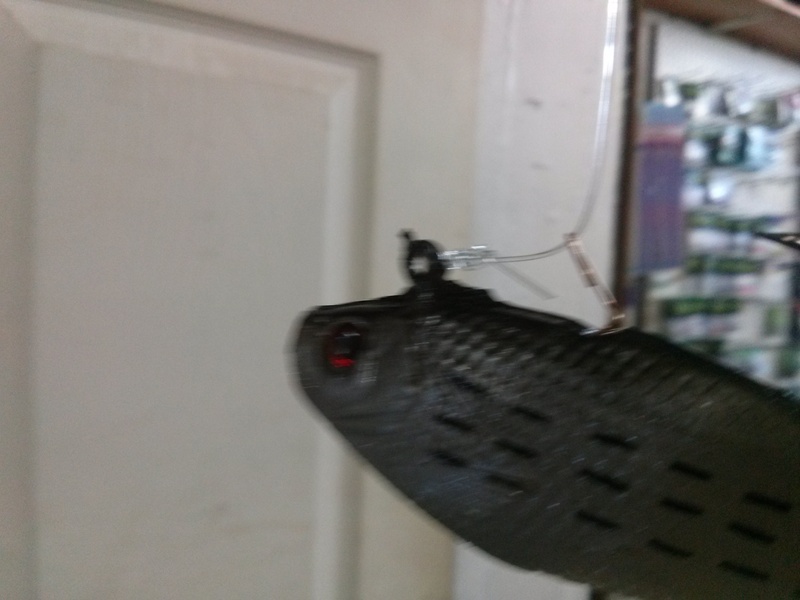 This would not be good for casting it would work for Slow walking a swim bait on a pier, or using a swim bait under a float, even vertical jigging deep water like in the gulf or one of the Passes. Good luck have fun with this. What can you catch with white bait? White bait or greenbacks have been plentiful on the flats and along the beaches, especially during the morning hours. Perfect to throw your net on and fill your live well for a day of fun. If they aren’t easily accessible, or smaller schools we chum them in close to the boat or beach. Frank sells a variety of dry bait chum. We love ” bait maker” brand. Dry chum is great and easy to store. 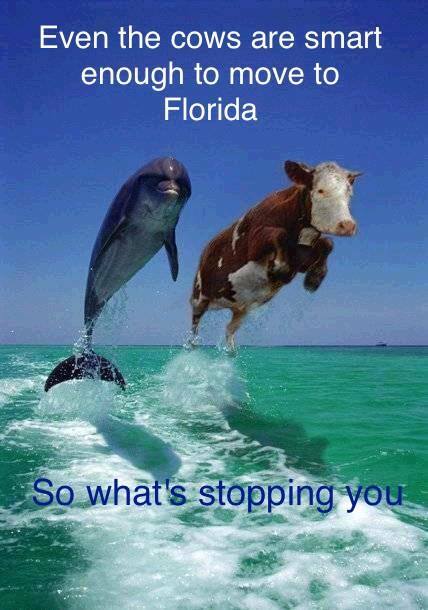 Also works on pinfish. You can mix it with water or menhaden oil and throw it out to attract bait fish. Snook and redfish enjoy live white bait. 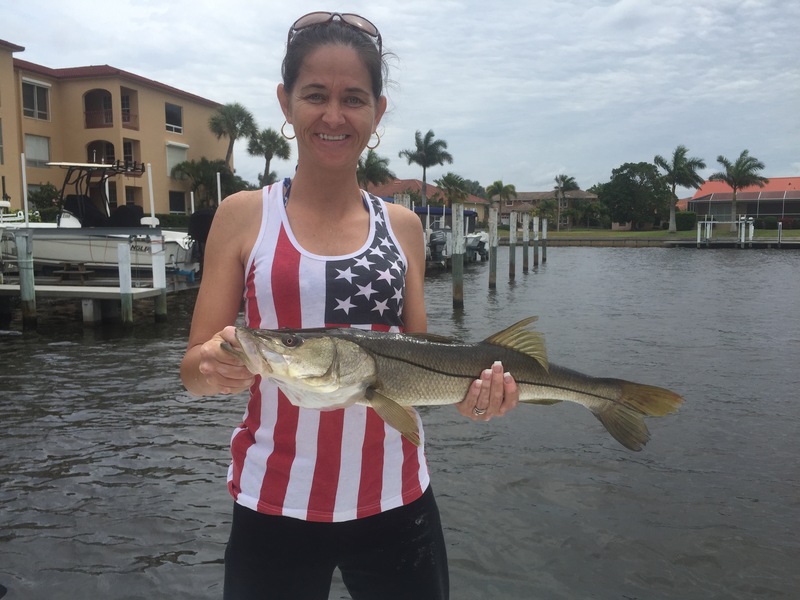 One of my favorite activities is sight casting snook along our gulf beaches. From the boat and the shore, it’s a blast watching them inhale your live bait. 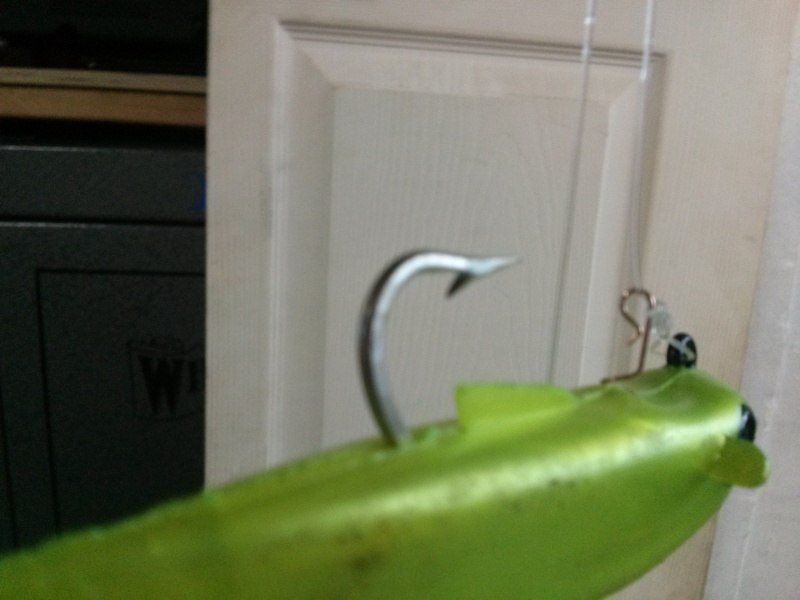 We use 3/0 circle hooks and a loop knot to aid in the bait swimming naturally despite having a hook in it. If your having a slow day you can try live chumming! Get a half net full of green backs, squeeze them until they squeal and put them in a chum slinger. Throw towards the shore line. If there’s fish there, Snook and Reds will feed and go crazy picking off the weak damaged bait. Popping on the surface. Chasing bait on top. 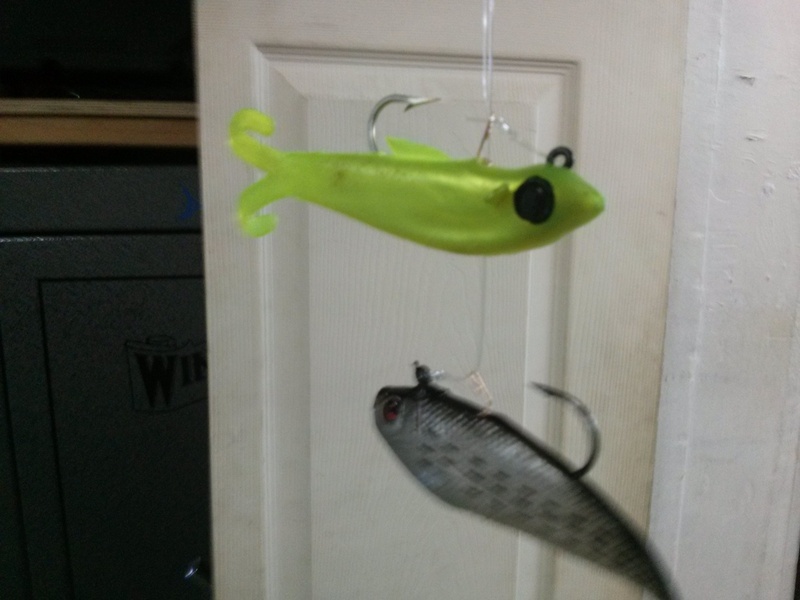 You get some assistance on where exactly to place your bait. You will be hooked up in no time! 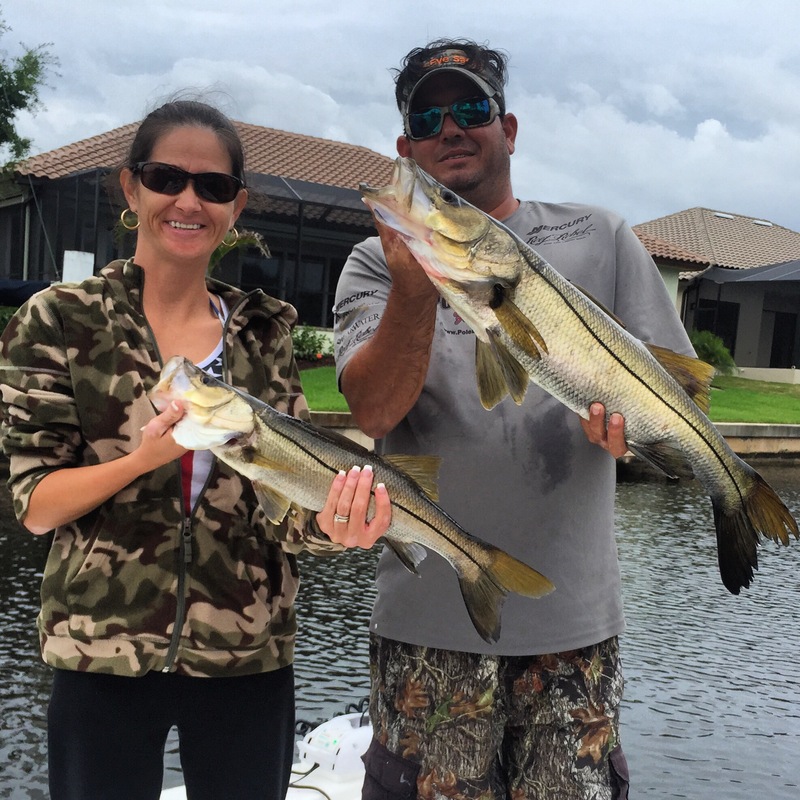 Andrew & I caught a few nice snook and reds while exploring new bait locations in Pine Island. The fish are here and hungry! Contact Captain Andrew for a great day on the flats! Trout Yes there is a bunch of Sea Trout from PC beach up towards the cut-off, Shrimp or white bait under a poppin cork. This is a nice size School of fish, and most are in the 20 inch size range. Triple Tail are still out in the near gulf and a few in the Harbor, look for crab trap floats, any thing floating really and even some of the markers have Triple tail hanging around them. To find Triple tail cruise along as slow as you can go with your boat while still on plane. If you see one it will look like a dirty rag just under the surface, with it’s face, hiding under the object. Like a little kid I can’t see you, you can’t see me. do not stop the boat for at least 100 yards make a turn and come back quietly. cast at them free line with a small shrimp or white bait. I fish a lot of bass tournaments up here in Canada and I have to admit that a lot of the skill sets I have learned for both smallmouth and largemouth bass were so similar to what I did for the Redfish. after talking to you that I instantly became hooked! The fishing was tough then apparently when I talked to a few people fishing and some of the guides but I was having a blast. I didn’t catch a lot of Redfish in the few days that I went out but the ones I caught were all oversized. or just outside of them in little potholes that I could see to cast to. It was absolutely a blast for me. I give a lot of the credit to you and Vinny for your hints on what to look for. I just drove around until I found some place there were no other boats and the structure was similar to yourself and Vinnies description. By the way I also caught a bunch of Sea Trout with quite a few being over 22 inches and a lot of undersized as well. Fished Thursday at the Placida trestle on the incoming tide. Caught several undersized sheepshead and mangrove snappers; also a couple of stingrays. We did manage several fair sized whiting on shrimp. The sharks were biting very well, blacktips and bonnet, all in the 3-4 ft. range. I caught my blacktip on a pinfish. Love your website and the store. Sea Trout The Trout gave been pretty steady at Laishley Pier from Sun-up until about 9 or 10 o’clock in the morning. Her The Trout are hitting live shrimp under a poppin cork. Try to get about 4 feet from your hook to the cork. hard to cast with that much line under the poppin cork, but let the tide drift it away from the pier. Pop your cork wait 20 seconds or so then pop again. Yes this time of year the Mackerel sharks and all kinds of toothy fish appear here in Charlotte harbor and the gulf. Most of us have Mono or fluorocarbon leader spools on the boat. but to use a steel leader you either have to be good at tying a Hay wire twist or keep cable, crimps, and Crimping tool on board with you. NO MORE we have a steel leader you can tie to your fishing line either mono or braided line. Yes a uni to uni knot or how ever you tie your leader on now works with this steel leader. We have used it / tested it on Spanish mackerel, Sharks, even caught Snook with it. and you can tie your hook with your favorite knot Just as easy as you could tie on a fluorocarbon leader. 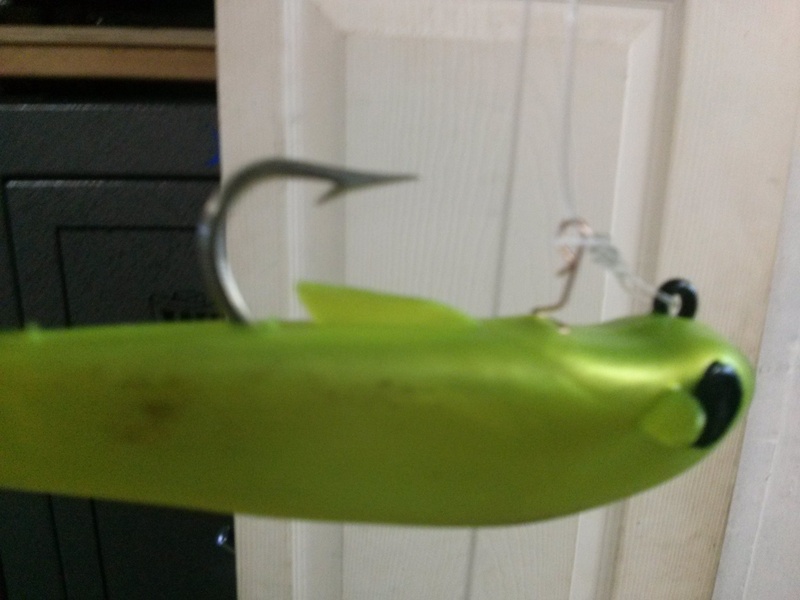 It is almost $11 But that is less than most fluorocarbon leader and it works!! So instead of all the tools and stuff, just stop in I have a big spool you may try it. and see how easy it is to use a steel leader with no fuss, no muss, and NO tools.